Former Manchester United goalkeeper Peter Schmeichel has thrown some not so subtle shade at Arsenal when he was asked about his son Kasper's future at Leicester City. Kasper Schmeichel has been one of the Premier League's better goalkeepers over the past few years and father Peter insists that he's happy at Leicester but he noted that the club could do with a new manager as he feels that current Foxes' boss Claude Puel is not getting the best out of his players. 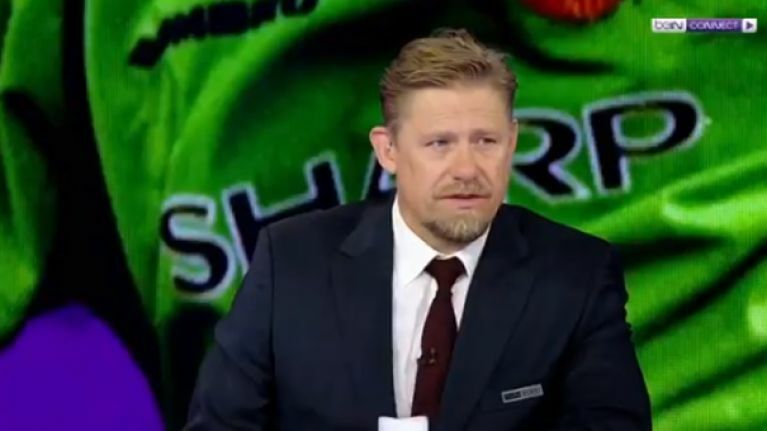 "There are not not that many places where you can go as a goalkeeper because you don't go and take your chances, you want to go and make sure you play," Schmeichel said on BeIN Sport. "You look at it, Manchester United you've got David de Gea, you've got Kepa at Chelsea, you've got Alisson at Liverpool, you've got Ederson at Manchester City, then what's the next big club.... Everton? Everyone says it's Everton but at the moment they're 13th in the league. "What is the next big club? Then you have to go abroad to Europe and I don't think he wants to do that. I think he loves England too much. I think he loves the Premier League too much. It's a difficult one. "Of course he wants to move away and try something bigger and challenge himself like any other football player but on the other hand, Leicester City is a really good football club and once they get everything sorted out, and I leave it to you to interpret what that means, but once they get their act together it's actually not a bad football club. "They've got good players, they just don't have the manager that can get anything out of them. Once they get all that sorted out you will maybe see Leicester in that eight to five range where I think they belong." Kasper, 32, offered some poignant thoughts after the passing of club owner Vichai Srivaddhanaprabha late last year and added that he feels part of a family at Leicester. "We have tried for a few hours a day to be professional and train hard, but everyone wanted to play and win for his family. His family have been strong, (with) the courage they have had,” the Dane told the BBC’s Match of the Day programme.